Today, our Los Angeles DUI blog will take a close look at a curious case out of Georgia’s historic Savannah. 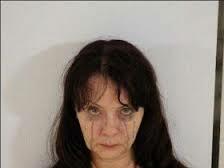 A local woman, Sheila Faye Conley, just netted her 5th DUI-related arrest, her 4th DUI case, and her 3rd DUI conviction in a period of five years. Police arrested the 55-year-old on Christmas Eve, 2014, and a jury indicted her on February 5th. Conley caused two previous DUI accidents that led to the injury and death of others involved. In 2000, she struck a couple at a traffic light while fleeing from an officer. In 2001, she fatally struck a couple on the same road as her previous accident. The state sentenced Conley to prison for felony vehicular homicide. Conley won her release in 2010 after serving 10 years and successfully completing almost 2 years on parole; her probationary period began in 2012. Probation guidelines prohibited Conley from violating any criminal laws or engaging in “injurious and vicious habits” relating to drugs and alcohol, according to Savannah Now. When police pulled her over on Dec. 24, Conley allegedly denied consuming alcohol and refused blood and breathalyzer tests, which led to the most recent DUI charge. A grand jury indicted her for driving under the influence and presenting false statements at the time of her arrest. Cases featuring multiple offenses in a short timeframe, especially those including injury or death, usually receive harsh prosecution. In California, depending on the timeframe of previous DUI convictions, a person similar to Conley may face years in prison, driver’s license suspension without an allowance for work, and an interlock device. Do you need help defending against a drug or DUI charge? Michael Kraut of Los Angeles’s Kraut Law Group is a trustworthy, highly qualified former prosecutor. Call a Los Angeles DUI attorney today to strategize for your defense seriously.